As a paramedic, you will be put in various situations that involve pained patients and major accidents. A quality paramedic will need several of the following traits to be able to have a long and fruitful career in EMS. 1) A paramedic must be able to deal with pressure and stress. In sports, commentators often talk about great players having “ice water in their veins” when the game is on the line and the ball is in their hands. The same can be said for a paramedic, who will encounter many unexpected circumstances in the field, on the ambulance truck or inside a hospital. You must stay focused and never succumb to the pressure of the moment, as a person’s life can literally depend on your decision-making and ability to take swift action. 2) A paramedic will need to have an iron stomach, as he or she will see some nasty things on the job, most notably blood. If you’re someone who gets queasy at the thought of “blood and guts,” or doesn’t think they’ll be able to work properly in the midst of dirty, ugly, and sometimes gruesome accident scenes, then you’re probably not cut out to be a paramedic. 3) You will need to not only be fit, but be able to lift large amounts of weight. A paramedic at an ambulance service, for example, may be required to not only lift up to 125 pounds, but also pull up to 150 pounds and push up to 250 pounds. Along with being physically and mentally strong, the job of a paramedic requires a lot of sitting, standing, and reaching too. 4) A paramedic will also need to enjoy the rush of adrenaline, as well as have both assertive and compassionate characteristics. Sometimes, paramedics will need to push their way through a crowd when on the scene. 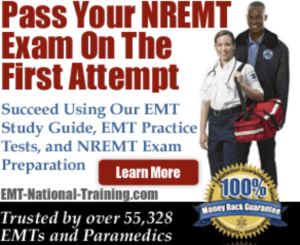 At the same time, an EMT-P must understand how to effectively communicate with patients who might be scared of their circumstance, physically pained or suffering from an illness. 5) You must be willing to get very little sleep in some instances. It’s not uncommon at all for a paramedic to work for 24 hours straight, and then receive the next 48 hours off. As mentioned before, a paramedic must enjoy the rush of adrenaline. But with that excitement comes unpredictable circumstance. A paramedic never really knows the situation he or she might face in a given day, as it’s possible to be jeered, assaulted, or even potentially struck by a car or shot at while working. Paramedics may also have to deal with patients who bleed profusely or even have a communicable disease, so while becoming an EMT or paramedic is highly rewarding, it requires a lot of hard work and dedication, and is not without its fair share of risk.